Posted July 23, 2018 by Fiona Greenfield & filed under Funding. 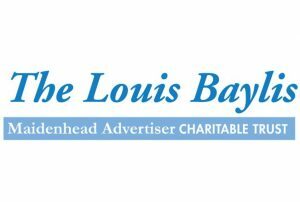 Thanks to the generous support of the Louis Baylis (Maidenhead Advertiser) Charitable Trust our Bursary Funding Scheme has received a grant of £2,000. The Bursary is funded entirely by donations and supports local people in receiving professional relationship counselling, regardless of their ability to pay. In May  17% of sessions were either wholly or partly funded by our Bursary. The Trust owns Baylis Media Ltd which publishes our local newspapers, the Maidenhead Advertiser and the Windsor & Slough Express, receiving at least 80 per cent of the company’s profits. It uses these to help fund charities, community groups and good causes in Maidenhead, Windsor and Slough and the surrounding areas, which is unique in the world of local newspapers.